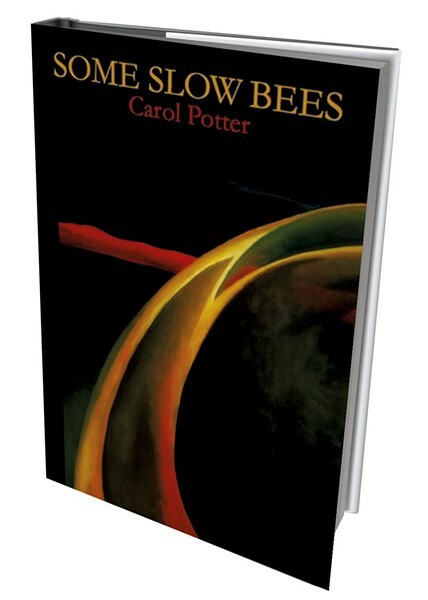 Some Slow Bees by Carol Potter, Oberlin College Press, 96 pages. $15.95. Despite its evocative title, Some Slow Bees is not a book about colony collapse. Instead, Corinth resident Carol Potter's fifth collection of poems explores jokes, katydids, lizards and, yep, bees — slow bees, Do Bees and Don't Bees. And, as pollinators do in both literature and life, those busy creatures ultimately reveal clues about where we're going and where we've been. Winner of the 2014 FIELD Poetry Prize from Oberlin College Press, Potter fills her poetry with curious regard, affection, occasional annoyance and even exasperation at the bounty of life's detritus. Divided into four sections, each with its own concerns, Some Slow Bees is more like a variety show performed by a lively mind than a sustained exploration of any one theme or idea. The 12 poems of the first section begin with childish things — the donkeys and bunnies of picture books, kids loafing on ponds in inner tubes, babies who "pick at loose flecks of paint" ("Baby Insomniac"). The opening poem, mysteriously titled "M," introduces us to a world that has been flooded, perhaps by a Tropical Storm Irene-like disaster. In the classroom of a "watered" school, we witness not anguish but letters of the alphabet that remain on the chalkboard above the water mark: "The curious humps of n's and m's / [...] / Mountains of m's on their pages. / Water trickling under the door." The poet imagines the imperiled children still at their desks wondering what the fuss is about: "That man in the red checked shirt / and blue hat jumping up and down / in his boat waving his arms. / Who knows what he wants?" By the poem's end, the Ms of mountains have inverted to become the Ws of water — just as the morose feeling of danger has been upended into a childlike experience of wonder. Potter's felicity with letters and language pervades many of the poems in this collection, but perhaps none so much as those of the second section. The next poem is titled "Blockade"; the one after that, "Cretins." Each poem is its own endeavor, although Potter's humor, wisdom and candor lend them consistency, serving in lieu of a continuous story. "How the brain / avails itself of its own little blight, / erasing those fabulous balloons of back-story," she writes in "Blockade." Each letter offers fun and sinister wisdom, from "Jokes" to "Katydids" to "Lizards" to "Twinkies" to "Uranium" to "Voodoo." The 26th poem, "Zippo," features a brilliant sun: "The light like a massive Zippo lit but no concert hall full of / zapped-out kids waving their arms." And thus we return by implication to the hippie kids of the letter A, who by now could be "feeling it." The poems of the collection's third section, while still playful, are more relatable. Take "4444," which opens with the straightforward lines "It was a two-month rental and the phone number / an easy number to mistake. Those four fours in a row." The poet goes on to detail the messages destined for others that she received: "It was like being popular." Another poem, "Silage," commences with the equally guileless "Selling the farm is not the same as buying the farm. / Buying the farm means you die. Selling the farm / means someone else died." These poems plow straight into their material of circumstance, accident and mortality. But what about the bees? Do any of these poems speak of bees at any speed? The titular poem, which appears in the book's first section, doesn't seem strong enough to encapsulate the whole collection. Its three stanzas are full of bees eating gouges in autumn's apple surfeit and a red bird singing and a spat over dinner that sends the speaker out to contemplate the bees and stars — but a reader may think, That's it? Surely there's something more? Indeed there is. The final section of the book, "The Miss Nancy Papers," consists of a series of sonnets inspired by "Miss Nancy" (Nancy Claster), who hosted the children's program "Romper Room" from 1953 to 1964. The show's theme song exhorted viewers to be "Do Bees," a message that Potter questions and rails against in these 15 linked sonnets. As this sequence progresses, the final line of each sonnet becoming the first line of the next, Potter both revisits some of the book's seemingly disparate topics and draws them together. She measures the hippie years, life's curious emergencies and its family tensions against the supposed high-water mark of being a "Romper Room" Do Bee, a title belonging to children who "never did anything wrong" ("2"). Even though this section comes 54 pages after the poem "Some Slow Bees," it gives the book a through line, illuminating anew the beauty of those backyard bees nuzzling the fallen apples. Now the reader sees them as free bees, as opposed to the good little Do Bees — "No match touchers. No car stander uppers. / No street players" ("1") — who are so praised by Miss Nancy, queen of mid-century's ideal polite, well-mannered society. Filled with behaviors that would have mystified Miss Nancy, Potter's crown of sonnets portrays a romp through life's bigger rooms. Their subjects range from "A car load of Don't Bees. / Kids standing on the back seat. Dad smoking at the wheel" ("4") to activists who "threw rocks at cop cars. / Got gassed in public squares. Smashed some bank windows" ("6"). Perhaps this book is about colony collapse — or at least about the crumbling of our society's sovereign conformist ideals — after all. Carol Potter reads with Carol Westberg as part of Bookstock 2015, on Friday, July 24, 4 p.m., at the Wilder Room in the Woodstock Inn and Resort. The original print version of this article was headlined "Catching a Buzz"